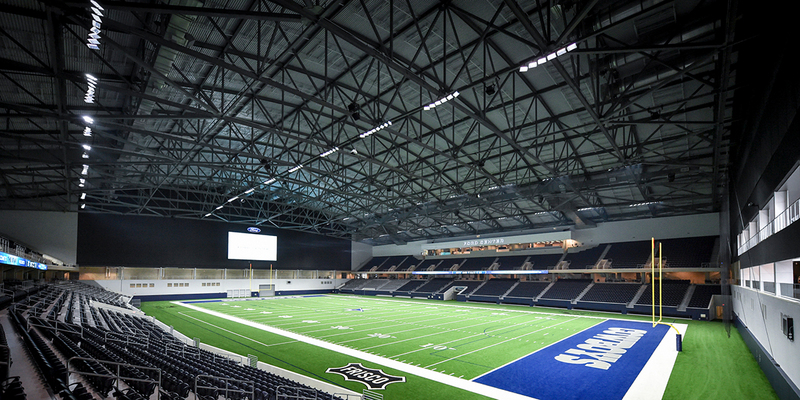 The Dallas Cowboys’ new $1 billion headquarters and practice facility opened in August 2016 with Musco’s TLC for LED™ technology. After partnering with Musco in 2015 for the new LED lighting system in the AT&T Stadium, the Dallas Cowboys relied on the system design and application expertise of Musco. Efficient Controls – Provides instant on/off capabilities and dimming controls for the light output to be adjusted when full power of the system is not needed. 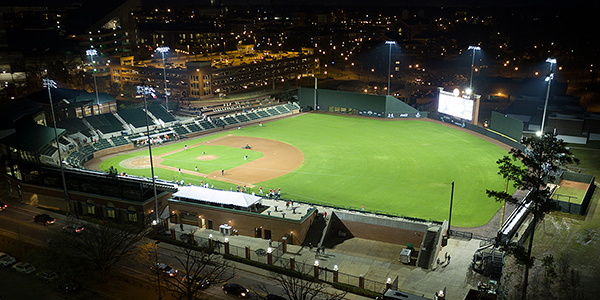 Superior Light Quality – Customized optics focuses light onto the playing surface, preventing light from shining into the eyes of players and coaches. Unmatched Warranty – Eliminates maintenance costs with a comprehensive 10-year parts and labor warranty, backed by our team of technicians. Reliable Performance – Lighting, electrical, and structural components engineered as a complete system ensure optimal performance. Additionally, the system will reduce energy consumption at the facility by 56 percent when compared to typical HID lighting equipment.